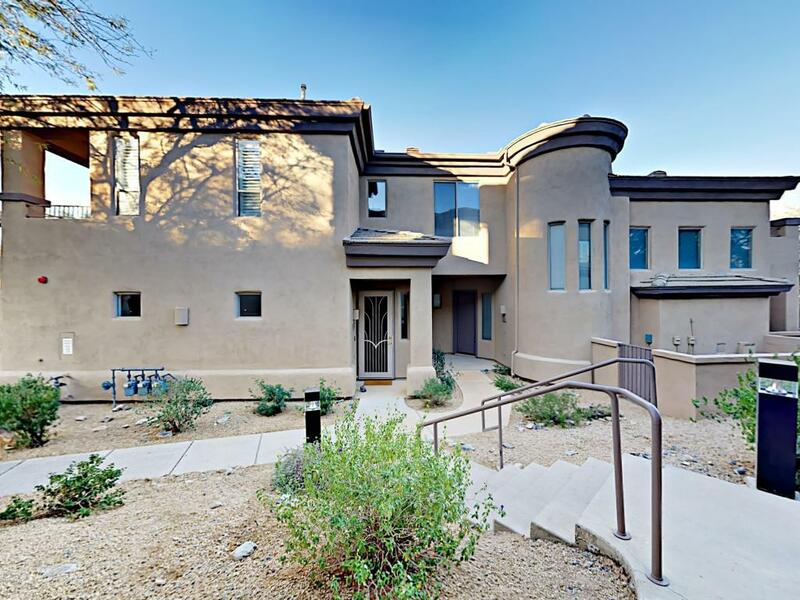 This two-story townhome is located in a Scottsdale planned community with HOA amenities including community pool, spa, fitness club, and community center. The kitchen highlights include with granite countertops, stainless steel appliances, breakfast bar overlooking the living room with fireplace. The master bedroom features walk-in closet with balcony access. The master bathroom features a walk-in shower and private water closet. Located near McDowell Mountain Ranch Park and accessible via E Bell Rd and N Thompson Peak Pkwy. Home comes with a 30-day satisfaction guarantee. Terms and conditions apply.